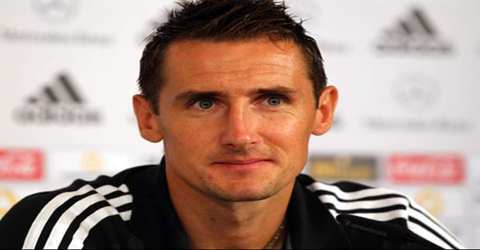 Miroslav Josef Klose was born on 9 June 1978, in the Silesian city of Opole, Poland. He is a German retired professional footballer who is regarded by many as one of the most effective goal poachers to have ever played the game at the highest level and holds plenty of goal scoring records that had remained unsurpassed for quite a while. Klose was born in Poland but moved with his family to Germany when he was a child and even though he had a chance to play for Poland, he chose to play for Germany. 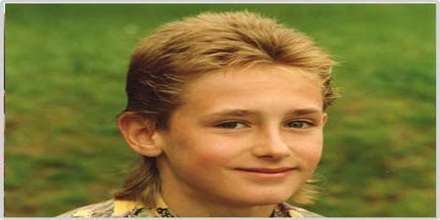 Klose started off playing for the youth set up of a small club before graduating to play for FC Kaiserslautern and following a successful stint of five years at the club he moved to Werder Bremen. Eventually he went on to play for Germany’s biggest club Bayern Munich. Throughout his club career, he showed the ability to get goals and he brought that to the German national team. He has been particularly successful in World Cups with 16 goals across 4 tournaments and is the highest goal scorer at the tournament. In addition to that, he has also achieved the distinction of being the highest ever goal scorer for the German national team by netting a total of 71 goals and breaking German legend Gerd Muller’s record. Klose is best known for his performances with the German national team. He was part of the German squad that won the 2014 FIFA World Cup, having previously finished second (2002) and third (2006, 2010) in the competition and as runner-up in Euro 2008. Klose is also the top scorer of all time for Germany, who have never lost a game in which Klose scored. He retired from Germany’s national team on 11 August 2014 shortly after Germany’s victory at the 2014 World Cup. Klose announced his official retirement from professional football on 1 November 2016; following an invitation from manager Joachim Löw, he joined the Germany national football team coaching staff. As an ethnic German and German national, Josef Klose was an Aussiedler whose family had remained behind when Silesia was awarded to Poland after World War II and decided to bring his family to Germany. In 1986, then eight-year-old Miroslav joined his father in Kusel, Rhineland-Palatinate, knowing only two words of German. Klose developed his skill and passion in football from the village club, SG Blaubach-Diedelkopf, which at the time was in the German seventh division. He was also trained as an apprentice to become a carpenter. Miroslav Klose got married to Sylwia Klose in 2004 and the couple has twin sons. The sons are named Luah and Noah. Klose has not held Polish citizenship since the age of eighteen, as he then opted for a German passport. Klose is a Roman Catholic. In March 2004, Klose signed a four-year contract with German Bundesliga club Werder Bremen for a fee of €5 million ($6.2 million). On 7 June 2007, Klose confirmed that he would leave Werder Bremen for Bayern Munich either before the 2007–08 season or upon the expiration of his contract with the Bremen team at the end of the 2007–08 season. On 26 June 2007, FC Bayern Munich’s club president Karl-Heinz Rummenigge confirmed that his team had reached an agreement with Werder Bremen regarding the transfer of Klose to the Munich team. Klose completed his medical with Bayern on 28 June 2007 before signing a four-year contract. Klose signed a three-year contract with Lazio on 9 June 2011. On 10 December 2011, Klose scored twice and assisted one for Lazio in an away game against Lecce, including an 87-minute goal that gave Lazio a 3–2 victory. On 2 September 2012, Klose scored his first Serie A goal of the season, scoring a brace in Lazio’s 3–0 home win against Palermo. On 5 May 2013, he scored five goals against Bologna before being substituted for Louis Saha in the 68th minute. It was the first time since the 1984–85 season that a player scored five goals in the same game in Serie A. With his 64th goal for Lazio, he equalled Goran Pandev as the club’s highest non-Italian goalscorer of all time, and ended his Lazio career as the club’s 7th highest all-time goalscorer. Klose’s international debut came on 24 March 2001 in a World Cup qualifier against Albania; in the 73rd minute coach Rudi Völler put him in as a substitute. Two hat-tricks against Israel and Austria in friendlies prior to the upcoming World Cup were enough to establish him in Germany’s starting line-up for the tournament. Klose came to international prominence at the 2002 World Cup in Korea-Japan with five headed goals for Germany, finishing joint second highest goal scorer along with Rivaldo. He became the first player ever to score five headers in a World Cup, and he celebrated two of his goals with his trademark front-flip, earning him the nickname “Salto-Klose” (German: Salto = somersault). In 2006, he scored 5 goals in the FIFA World Cup in Germany and helped the young team reach the semi finals of the tournament. He led the German attack at the European Championships in 2008 and scored 2 goals to help the team finish runners up in the tournament. Two years later at the World Cup in South Africa, he netted four goals as Germany ended up as the semi finalists. During the Euro 2012 qualifiers, Klose scored at least one goal in every single game he played, striking against all of Germany’s opponents: Belgium, Azerbaijan, Turkey, Kazakhstan, and Austria. At the end of the qualifying campaign he had achieved 21 assists and 63 goals while playing for Germany, trailing Gerd Müller’s German goalscoring record by five (albeit playing almost twice as many internationals compared to Müller). A prolific goalscorer, Klose was a large and powerful striker, who was known in particular for his ability in the air as a centre-forward, due to his strength, timing, elevation, and heading accuracy, as well as his finishing ability; in his prime, he was also a quick player, who was known for his turn of pace and positional sense in the area. In addition to his physical attributes, he possessed good technique, and was capable of setting-up goals for teammates in addition to scoring them himself, due to his tactical intelligence and ability to interpret the game. He was also known for his dedication and correct behaviour on the pitch.